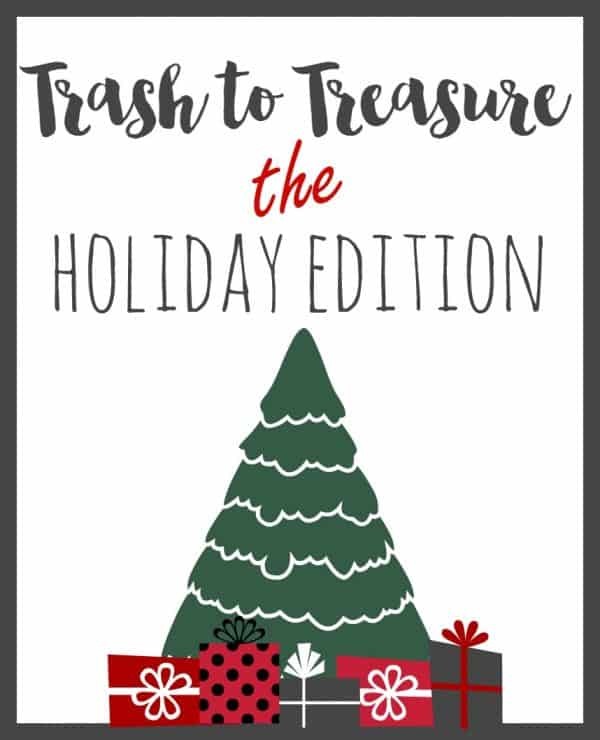 Today is the Christmas edition of Trash to Treasure featuring ## talented bloggers who each took something found a a thrift store, flea market, or maybe even the side of the road, and turned it into something beautiful and useful for the Christmas season. 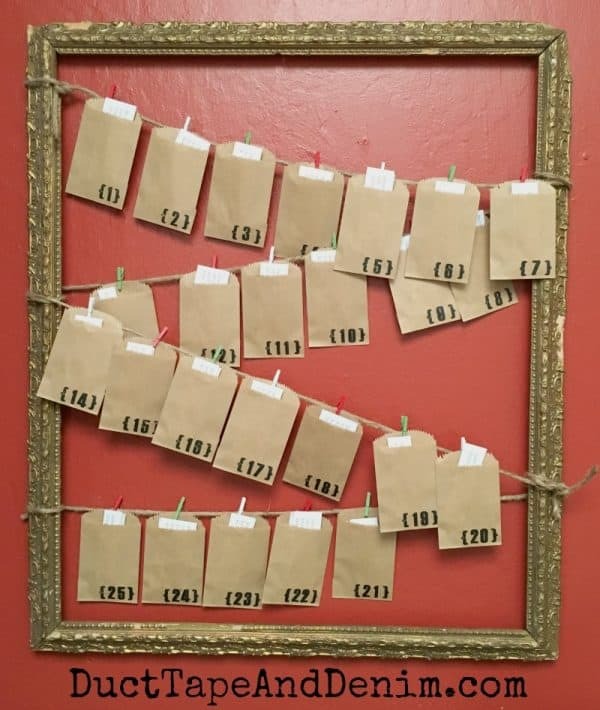 I took a vintage frame and turned it into a frame Advent calendar. This post contains affiliate links. You won’t pay any more when you use these but I will earn a small commission on any purchases you make after clicking on them and I greatly appreciate it. Thanks for helping support my little blog!!! And thanks to Canvas Corp Brands for providing some of the supplies for today’s project. First, line up the brace stickers on the clear stamping block with enough room between to add the numbers. Then stamp the bottom right corner of the mini bags with numbers 1-25. Tie the jute string on the top right side of the frame. Zig-zag it from side to side, wrapping it around the sides a couple of times before going to the next side. Cute it and tie to the bottom left side. Space the mini bags evenly and clip them on with the red, white, and green clothespins. 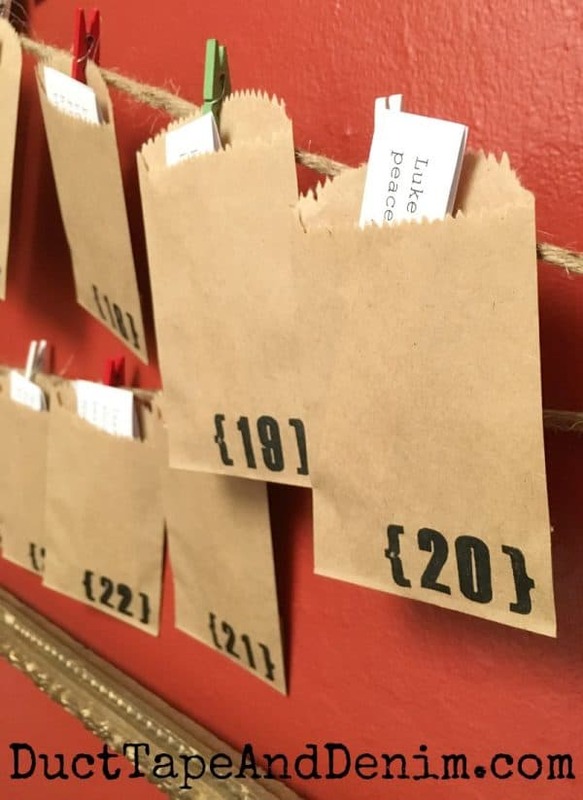 Print out the 25 Advent Scriptures PDF, cut apart, and stick one in each bag. Now each day you can pull out the Scripture and read it together as a family. I am always on the look- out for frames like this. I just love them. Such a cute Advent project. 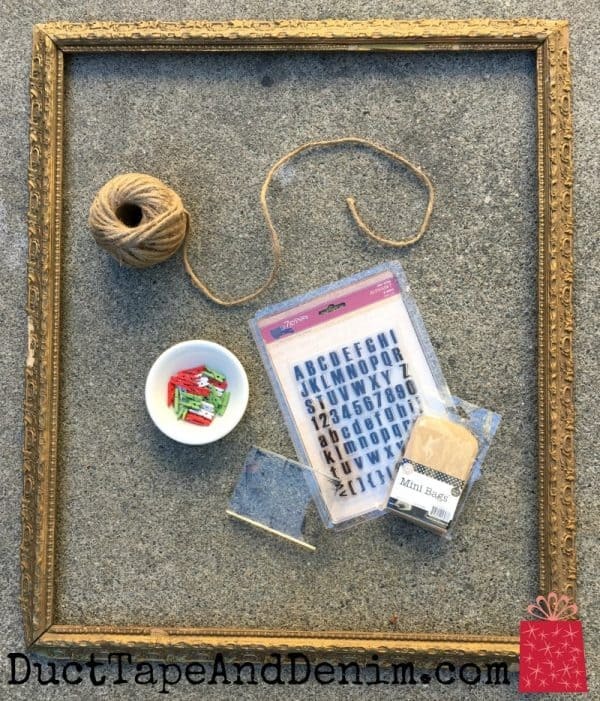 Wait ’til you see my next frame project… with a FREE frame from a garage sale! What a lovely idea ! I have a few vintage frames in my shed, I maybe making another advent calendar. Love the little bags that you used! 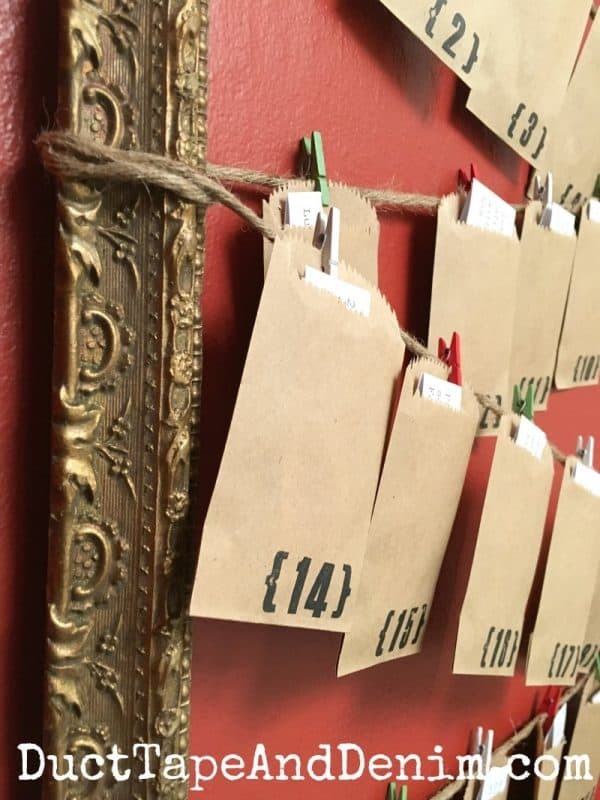 Fun repurpose of an old frame! LOVE this idea Ann. I have been thinking about ideas for Advent for my teens, and this is just the ticket. 🙂 Thanks so much for sharing and joining the T2T Blog Hop! This is really fun. I would probably fill those little bags with some candy! You did such a great job and it looks amazing! I am not good at decorating at all, so I think I am going to buy Advent calendar on Amazon, Thanks so much for providing them. By the way, nice calendar, good job, my friend. The frame is very cool! Wish I’ve found this post sooner. I think I’ll find a good frame now and save it for my idea next year 🙂 Merry X’mas!